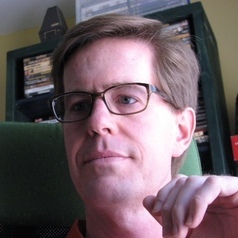 Brian Moon is a musicologist who specializes in America’s music. He attended Emory University where he earned a Bachelor of Arts degree in music and classical guitar. Later, he returned to Emory to earn a Masters of Sacred Music degree focusing upon choral conducting. Moon attended the University of Colorado for his Ph.D. in Musicology, where he was a fellow in the American Music Research Center. Moon taught briefly at the University of Colorado, and has taught at the University of Arizona since 2004. Currently, he holds the title Coordinator of Music in General Studies, and his focus has been upon the general education curriculum. He is also affiliated with the University of Arizona’s General Education Academy, a collaborative faculty learning community focusing upon bringing the most effective aspects of distance learning into teaching. Moon’s research encompasses: the African American spiritual, the reception of the black spiritual among white southerners, the Harlem Renaissance, record stores, Capitol Records, Nelson Riddle, Harry Burleigh, and the history of Rock ‘n Roll. He has published articles in the Black Music Research Journal, The Encyclopedia of African American Music, and the Grove Dictionary of American Music, 2nd edition. Moon has also published an electronic textbook with Great Rivers Learning (affiliated with Kendall Hunt) entitled How Rock Rolled: A History of American Music.